Looking for a Used IS C in your area? 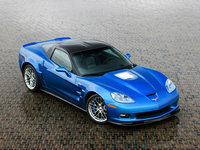 CarGurus has 304 nationwide IS C listings starting at $6,995. Lexus expands its lineup for 2010 by introducing the IS C convertible coupes. 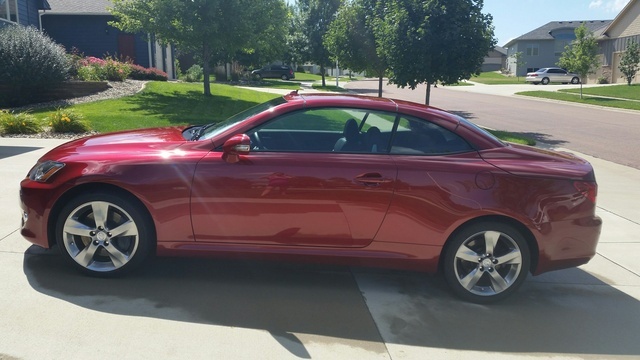 Based on the IS entry-level luxury sedans, the IS C convertible coupes feature a power-operated, three-piece hardtop roof, which retracts at the press of a single button. The lightweight aluminum roof folds completely into the trunk, with no elements showing when it's in the down position. Weatherstripping around the windows and doors helps ensure a tight seal and a quiet interior with the roof up and in place. 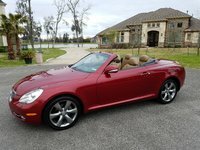 While the IS C convertible coupes borrow their overall styling and powerplants, as well as suspension and mechanical components, from the IS sedans, they also come equipped with a number of unique or upgraded features, designed for the specific requirements of a convertible. Lexus modified the IS sedans' A and B pillars, side crossmembers, and rear-floor crossmembers to improve the IS C coupes' structural integrity, and added underfloor braces in the front and rear, all of which help reduce body flexing. Damping materials were used throughout the body structure to minimize vibration. Lexus also upgraded the suspension components of the IS C coupes, including the bushings, coil springs, and shock absorbers, to optimize ride and handling. In addition, Lexus revised the power steering gear ratio for a sportier feel and improved control. The sporty theme continues outside, where the IS C convertible coupes display sleek, aerodynamic lines designed to meld seamlessly with the retractable roof. Up front, the IS C coupes sport a unique chrome grille, distinctive elliptical foglights, reshaped bumpers, and a new taillight design with LED lights. In addition, the rear spoiler, which comes standard, features an integrated LED brakelight. The IS C convertible coupes also come equipped with unique 17-inch, five-spoke wheels with a liquid-graphite finish. Owners can add optional 18-inch wheels with run-flat tires. Lexus offers the IS C convertible in 250C and 350C trims for 2010. The IS 250C borrows its 2.5-liter V6 engine from the IS 250 sedan. The V6 produces 204 hp and 185 lb-ft of torque, and features variable valve timing with intelligence, which helps improve performance and efficiency. It mates to a six-speed manual transmission, which comes standard, or an optional six-speed automatic transmission with paddle shifters mounted on the steering wheel. The IS 350C comes equipped with a 3.5-liter V6, which generates 306 hp and 277 lb-ft of torque. Borrowed from the IS 350 sedan, the bigger V6 also features variable valve timing with intelligence, and links to the six-speed automatic transmission, which comes standard. Both engines use direct fuel injection to maximize fuel efficiency. The IS 250C posts fuel economy numbers of 21/29 mpg, while the IS 350C, with its bigger V6, manages fuel economy numbers of 18/25 mpg. Front doors 11.8 inches longer than those on the IS sedans allow easy access to interior of the IS C, while fold-forward levers on the front seats and a power slide function on the front passenger seat make it easy for rear-seat passengers to climb on board. In addition, a power tilt/telescoping steering column assists the driver in finding a comfortable seating position. Standard luxury-oriented features for both IS C trims include leather seats, a leather-wrapped steering wheel and shift knob, and 10-way power-adjustable front seats with power lumbar. Metallic-finish interior trim, dual-zone automatic climate control, cruise control, push-button start and stop, and an illuminated entry system also come standard. An eight-speaker AM/FM premium audio system with a 6-CD changer, an automatic sound levelizer, and an MP3 input jack provides entertainment for passengers. Owners can add such features as heated front seats and a navigation system as options. In addition, an optional Intuitive Park Assist system links to the power-operated roof, and will stop its operation if the park assist system detects an obstacle that will interfere with the roof's operation. The IS C convertible coupes come well-equipped with a wide range of safety features, including Lexus's Vehicle Dynamics Integrated Management System, which monitors and manages the antilock braking, brake assist, vehicle stability control, and traction control systems. Dual front airbags, dual front knee airbags, and enlarged front-seat-mounted side airbags also come standard. What's your take on the 2010 Lexus IS C? 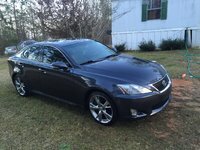 Have you driven a 2010 Lexus IS C? How Do I Check My Garage For Messages From Potential Buyers?